As a contractor, once you’ve completed a job, you want to streamline the invoicing process to achieve greater efficiency, avoid unnecessary costs and better manage cash flow for business growth. The easier it is for your client to pay you, the better. Keep reading for some helpful tips on how you can accomplish this. Generating and mailing a paper bill is becoming a thing of the past. 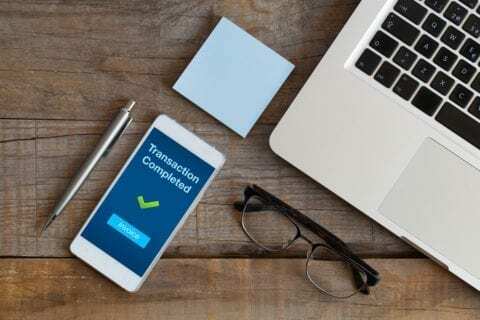 Many contractors are shifting to new electronic-based technology, such as automated and cloud-based accounts payable software that allows you to bill your clients from anywhere, utilize multiple payment options and keep detailed records. Allow electronic document exchange among users. Eliminate the possibility of lost checks. When setting up your system, it might be helpful to send invoices on a regularly scheduled day of the week or month. Following this pattern will help you track payment trends and follow up on old invoices. Additionally, set up your invoices with your business logo and color scheme so clients know the invoice is coming from you. The sooner you invoice, the sooner you’re likely to get paid. We know you’re busy managing multiple aspects of your job site, but try to set aside a dedicated time for invoicing. Many of your clients likely want to pay their bills in a timely fashion, as well, so as to not be surprised with bills from old projects. Be sure to include deadlines. Invoices are typically asked to be paid within 30 days, but each contracting job is unique, so tailor this to best fit your needs. Additionally, don’t be afraid to ask for expedited payment. Most payment confusion stems from a lack of information on invoices. Clients usually don’t care for broad and vague details of a job, especially when they have billing questions. They want to know what they’re being charged for and why. This is where itemized invoices prevent headaches. Itemized invoices are good for you, as well, because they make it easier to view which of your services are in high demand. Itemized information should include the product or service provided, quantity and add-on services. The more details you can show on your invoice, the better. Additionally, rather than generating a huge invoice and asking for a lump sum at the end of a larger-than-usual project, consider breaking down your charges into manageable pieces that are easier for your client to pay throughout a project. Automation, timeliness and itemization are keys to a successful invoicing process. By following these best practices, you’ll save time and money.